Sexual Abuse – non consensual sexual contact of any kind. should be subjected to violent, abusive, humiliating, or neglectful behavior. In addition to promoting this social attitude, positive steps include educating people about elder abuse, increasing the availability of respite care, promoting increased social contact and support for families with dependent older adults, and encouraging counseling and treatment to cope with personal and family problems that contribute to abuse. Violence, abuse, and neglect toward elders are signs that the people involved need help-immediately. 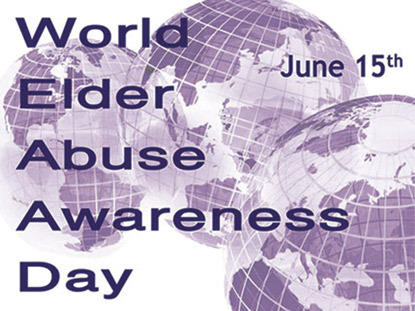 Education is the cornerstone of preventing elder abuse. Media coverage of abuse in nursing homes has made the public knowledgeable about-and outraged against-abusive treatment in those settings. Because most abuse occurs in the home by family members or caregivers, there needs to be a concerted effort to educate the public about the special needs and problems of the elderly and about the risk factors for abuse. Social contact and support can be a boon to the elderly and to the family members and caregivers as well. When other people are part of the social circle, tensions are less likely to reach unmanageable levels. Having other people to talk to is an important part of relieving tensions. Many times, families in similar circumstances can band together to share solutions and provide informal respite for each other. In addition, when there is a larger social circle, abuse is less likely to go unnoticed. Isolation of elders increases the probability of abuse, and it may even be a sign that abuse is occurring. Sometimes abusers will threaten to keep people away from the older person. And if you see an older adult being abused or neglected, don’t hesitate to report the situation. Don’t assume that someone else will take care of it or that the person being abused is capable of getting help if he or she really needs it.